Brno, Uvoz. 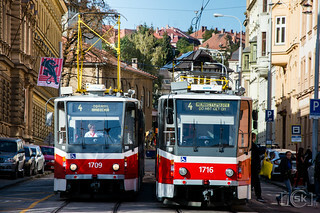 The right tram is finishing its shortened trip while the left one is ready for departure. From this temporary terminus, replacement buses take over to the northwest part of the city.